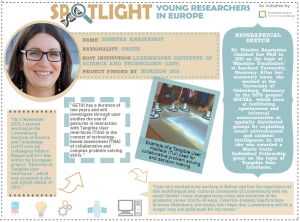 In 2015, Dimitra Anastasiou was featured in our campaign ‘Spotlight on Young Researchers’, which highlighted early-career researchers with a connection to Luxembourg. In November 2015, Dimitra moved to Luxembourg with her young family to start her prestigious Marie Curie Individual Fellowship at the Luxembourg Institute of Science and Technology (LIST). One year on, we caught up with Dimitra! Dimitra moved to Luxembourg in 2015 to start at LIST with her colleagues Eric Ras and Valérie Maquil within her European project ‘Gestures in Tangible User Interfaces’ (GETUI), which was accepted in the call H2020-MSCA-IF-2014. GETUI has a duration of two years and through user studies investigates the use of gestures in interaction with Tangible User Interfaces (TUIs) in the context of technology-based assessment (TBA) of collaborative and complex problem solving skills. 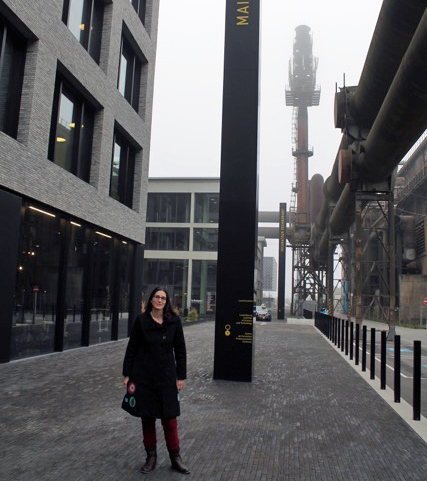 “I am very excited be working in Belval and live the experience of this multilingual and -cultural community of Luxembourg with my small family! I have changed many cities and countries in my academic career (Limerick-Ireland, Bremen-Oldenburg-Germany), but I hope that Luxembourg will be a longer stop and good push for my career”, Dimitra said. Dimitra is now one year into her GETUI project and has already run user studies with 63 participants at two secondary schools in Luxembourg. 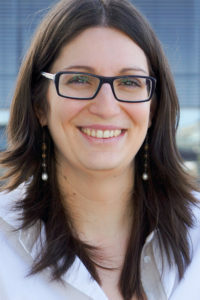 Over the past year, Dimitra has acquired know-how on gesture taxonomies in human-human and human-computer interaction, as well as expanded her knowledge about ethics and data protection, and she has also proactively learned about transferable skills. She has also supervised two Master students and presented the results of her project at no less than 6 conferences. Dr Dimitra Anastasiou finished her PhD in 2010 within five years on the topic of “Machine Translation“ at Saarland University, Germany. Then she worked for two years as a post-doc in the project “Centre for Next Generation Localisation (CNGL)” at the University of Limerick, Ireland. There she lead the CNGL-metadata group and was a member of the XML Interchange File Format (XLIFF) Technical Committee. Over the next two years she continued with the project “SFB/TR8 Spatial Cognition” at the University of Bremen, Germany. After her maternity leave, she worked at the University of Oldenburg, Germany in the DFG-project SOCIAL, which aimed at facilitating spontaneous and informal communication in spatially distributed groups by exploiting smart environments and ambient intelligence. 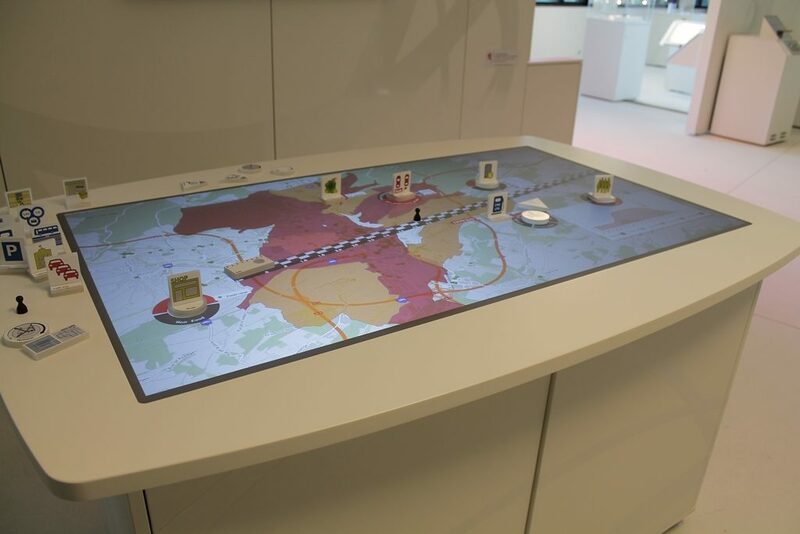 In early 2015 she was awarded a Marie Curie-Individual Fellowship grant on the topic of Tangible User Interfaces. In the last years, she has supervised numerous BA, MA and PhD students. In total she has published a book (PhD version), 17 journal/magazines papers, 39 papers in conference and workshop proceedings, and she is editor of 6 workshop proceedings. In addition, she is a member of 20 programme committees for journals, conferences, and workshops. Example of a Tangible User Interface (TUI) used for collaborative problem-solving and decision-making.